When you are working on fixing your reputation excuses are perhaps not the best policy, nor is glossing over it. If you can tackle it head on and provide real solutions to the problems you created then all the better. Sometimes you may just be able to talk about the good things you are doing now, because it is in the past and you can’t build a time machine to go back and undo it. If it appears that you are only doing something because you got caught with your hand in the cookie jar, that really does communicate as well, and the apologies don’t come off as sincere, and that causes people to question the validity of the solutions. If you have been caught doing the same thing over and over and apologize and then just go back to the same old practice why even bother even mounting a defense and pushing the idea that it will all change? If this has been your pattern and people still stick with you there is hardly much motivation to change your behavior. Brief flares of anger and then sinking back into apathy is going to have a destabilizing effect that is gradually going to have to erode the value of the service you deliver, and though it may not deter the people who are already locked into the surface it is going to turn off the floating voters and those not already on board. Some people trusted their data to be kept safe, but an article called Why Zuckerberg’s 14 Year Apology Tour Hasn’t Fixed Facebook that has been doing the rounds illustrates why this may be unrealistic. At one point Myspace occupied a similar place to Facebook, so the notion that the social media platform is immune to some kind of exodus of its users is more than a little presumptuous. At various points in its lifetime it has been touted as a possible platform which could be used as a basis for a planet-wide interconnectivity that would radically alter the structure of society. Given the effect that it was used to create in not only the US Election, but also Brexit, might it not be argued that that has already come to pass? It is true that Facebook has, and continues to facilitate connections with people that you may have lost contact with from your past, and that it has a lot of functionality that makes it a very useful tool. It would be disingenuous to argue otherwise, but it is also true that it has some issues when it comes to the distortion of both information and societal structure that it represents and engenders. The proliferation of echo chambers and selection out of competing narratives by various algorithms leads to atomized groups that are even less able to have a conversation with each other than they have been able to historically. To all intents and purposes with the attenuated information streams that they have access to, they live in completely different worlds, and that is in no way a good thing. So, the Here Together advert, what to make of it? Is it positing Facebook as a victim of the problem as well? Is an appeal to nostalgia, and a very short apology supposed to make it all OK? You could almost miss the apology – it is of a similar nature to those retractions newspapers print three pages in in the smallest font available, after the Headline they printed above the original story almost didn’t fit on the front page. 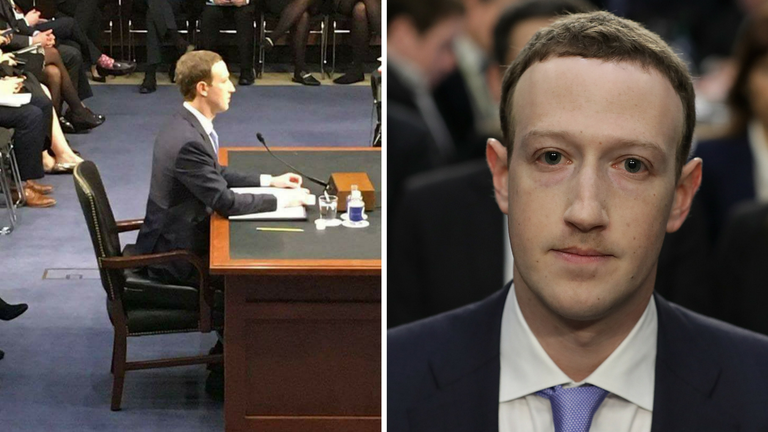 Is an interrogation of Zuckerberg that was less than pointed supposed to provide closure? It all seems a little glib, and a very surface engagement with the problem and the upset it has caused, and doesn’t really instill much confidence in the notion that it has all changed. When you really engage in public relations actions, you need to be doing something good that helps other people that you can promote. The real cornerstone of any PR action though has to be truth. If you build the whole thing on a lie it is going to be like a table with a wobbly leg. If you promise something you have to deliver it, because you will get caught in the lie. It is easier than ever to track down what you said in the past and hold you accountable for it. Perhaps it doesn’t matter. How do you police a system that is ripe to be gamed? Did the money get handed back? Isn’t a government going to have more resources than a private company to mount attacks that are more sophisticated than those already mounted? And this one wasn’t that sophisticated. The data that was sold wasn’t a data breach or a leak – it was the result of a transaction that operated within the parameters that were laid out by Facebook. It happened under the nose of everyone who thoughtlessly checked a box. Maybe if Facebook said Hey, you get the service for free, and one of the realities of that is, that in order to provide this for you we need to generate revenue, and that means selling your data. Sometimes this means that bad people will get your data and they will try to manipulate you with it, and then everyone will be forewarned. Maybe. It would at least ring true.